Every Monday we feature a mumpreneur who’s ready and willing to open up their lives and their business to us. I'm delighted to introduce you to our mumpreneur this week as she launches her new business supporting young people. We can all share in her new journey and watch her business grow. Love the REAL You is the revolution that changes the way girls and young women think and feel about themselves. I do this by teaching girls the principles of REAL; Respect, Embrace, Accept & Love the REAL You, through my products and services. It was created out of my frustration for the number of girls and young women I have met in my work over the last 15 years who fail to achieve their REAL potential because they don't feel good enough. Max age 12 and football mad! Maisy aged 8 and loves singing, drama and dancing! I am really grateful to live by the sea, in Poole Dorset, UK - I absolutely love it here! For over 15 years I have dedicated my working life to supporting young people. For the last 3 years I have run my own business, delivering my signature personal development programme SHIFT to young people within organisations and on behalf of parents. This month I launched Love the REAL You, which helps girls to get REAL inside and out. REAL is about teaching girls the importance of simply being REAL, instead of striving to become something or someone they are not. Love the REAL You helps girls to get REAL on the inside through my free download, the Principles of REAL, my eCourse, a six part programme called A Course in Becoming Positively REAL, and my coaching sessions and workshops. REAL helps girls to get REAL on the inside through its natural range of skincare, created especially for young skin. When girls apply the products to their skin they are reminded of the importance of being REAL. I decided to become a mumpreneur as I didn't want my children coming home from school to an empty house, as I did as a child. I believe it is easier to work when children are younger as good childcare can be found. However, as they get older this becomes difficult to manage. I believe that pre-teens and teenagers need a parent at home after school to offer guidance, support and to be available to talk. This was my reason for leaving my job and starting my business 3 years ago. I run my business as much as possible to be the best parent I can be. My biggest challenge in the early days was loneliness. I tried to overcome this by attending various networking groups, however, whilst I made connections with wonderful women I didn't always find the networking experience supportive or beneficial to my business. For some time I had considered starting a group for women, but never got around to it. In October last year the founder of a national networking group for women made contact with me, as she was looking to start a group in Dorset. I jumped at the chance and in February I launched Dorset Winning Women. This group is about supporting each other, celebrating achievements, collaborating and learning from the inspirational speakers I bring to the group. 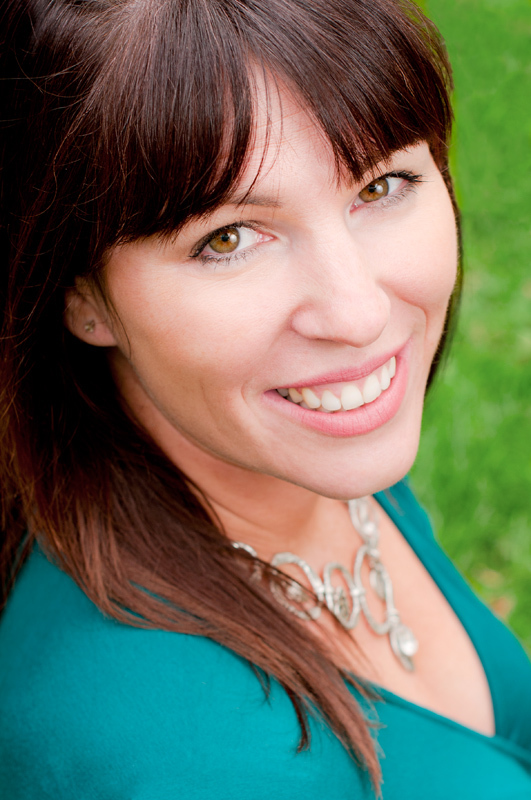 I love running the group, connecting like minded women and helping them to move forward in their businesses. My proudest moment in business has to be when I finally received my completed skincare products! This was a very emotional moment, something I had been dreaming about for 18 months. 'Dont be a sheep, be unique' is something I quote to my children and client's when appropriate. I have been known to 'baa baa' too! I love to read, and listen to audio. I rarely watch TV and my ipad comes everywhere with me! I also treat myself to a monthly massage. An afternoon tea with my daughter Maisy in the New Forest! My favourite pastime! Find a good network group where you can connect with like minded women, and if your budget allows, invest in a mentor, someone who has been there and got the T Shirt! They should be able to help you get to where you want to be much quicker. Fancy featuring as one of our amazing mumpreneurs? Drop me an email over on the contact page - and I’ll be in touch. Or let me know in a comment below. And remember to drop by every Monday to welcome our latest profiled mum. 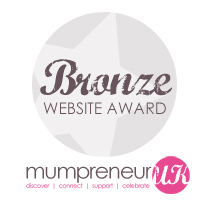 Hi there, I have recently, independently, set up my own website, and would love to be a Monday Mumpreneur!